Admissions to the Bachelor of Design (B. Des) programmes at IIT Bombay, IIT Guwahati and IIITDM Jabalpur are done through the Undergraduate Common Entrance Exam for Design (UCEED). Students who have passed Class XII (or equivalent) in 2017 or appearing in 2019 in ANY STREAM (Science, Commerce, or Arts & Humanities), are eligible to appear for UCEED 2019. UCEED 2019 will be conducted by Indian Institute of Technology Bombay, under the guidance of the UCEED-CEED Implementation Committee 2018. UCEED 2018 is open to all nationals (Indian/Foreign). Candidates seeking admission to the Bachelor Degree programme in Design (B. Des.) at Indian Institute of Technology Bombay (IITB), Indian Institute of Technology Guwahati (IITG) and Indian Institute of Information Technology Design and Manufacturing Jabalpur (IIITDMJ) must appear in UCEED 2019. Candidates appearing for UCEED 2019 are therefore advised to make their travel arrangements accordingly. Candidates should note that the mere appearance in UCEED 2019 or being in the rank list neither guarantees nor provides any automatic entitlement to admission. UCEED quali ed candidates will have to apply separately for B. Des admissions as per the prescribed procedure described in Part 2 of the Information Brochure. Admissions shall be made in order of merit in each category. With regard to the interpretation of the provisions on any matter not covered in this Information Brochure, the decision of the Organizing Institute (IIT Bombay) shall be nal and binding on all the parties concerned. In all matters concerning UCEED 2019, the decision of the Organizing Institute or the Organizing Chairman, JEE (Advanced), UCEED & CEED 2019 will be nal and binding on all the applicants. Although UCEED 2019 is held at di erent centres across the country, Indian Institute of Technology Bombay is the Organizing Institute and has the overall responsibility of conducting UCEED 2019. In case of any claims or disputes arising in respect of UCEED 2019, it is hereby made absolutely clear that the Mumbai High Court alone shall have the exclusive jurisdiction to entertain and settle any such claims and disputes. 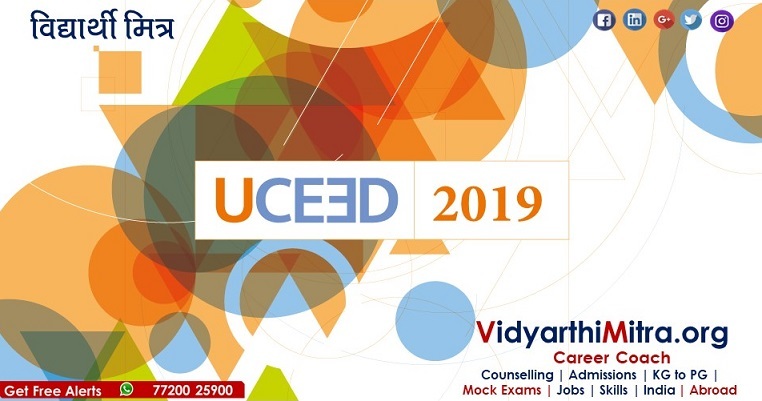 UCEED 2019 Admit Card has been released on 1st January 2019. Undergraduate Common Entrance Examination For Design (UCEED) is administered by the Indian Institute of Technology (IIT Bombay) under the guidance of the UCEED Admissions committee. Candidates wishing for admission to the Bachelor of Design (B.Des) at Indian Institute of Technology Bombay (IITB), Indian Institute of Technology Guwahati (IITG) and Indian Institute of Information Technology Design and Manufacturing Jabalpur (IIITDMJ) must appear for UCEED 2019. Here, aspirants can get detailed information about UCEED 2019. 1. Which academic stream in my XII standard (or equivalent) should I have studied in to be eligible for the UCEED examination? Students from any academic stream (e.g. science, arts & humanities, commerce etc.) in their XII standard (or equivalent), are eligible to apply for UCEED. 2. Are there any books that I can study to prepare for UCEED? UCEED is a design aptitude test. Aptitude tests assume that individuals have inherent strengths and weaknesses, and are naturally inclined toward success or failure in certain areas based on their inherent characteristics. Except for the syllabi section 'Environmental and social awareness' which will test your general awareness in the topics outlined under it, the remaining five sections will test your aptitude. Consequently there are no text or reference books that we can recommend. 3. My birth date is only a few days/weeks/months/years short of the age eligibility criteria. Can you make an exemption for me? 4. How is that students from all academic streams are eligible to apply for UCEED? Design is an interdisciplinary activity. Holistic design considers the sciences, arts, technology, economics, media, policy, society and culture. Successful designers have backgrounds in the arts, sciences and the humanities. However do note that candidates from the Science Stream with Physics, Chemistry and Maths as subjects are eligible to apply to B.Des at all the four institutes while candidates from any other stream (Science without Maths or Physics or Chemistry, Commerce, and Arts & Humanities) are eligible to apply to only IIT Bombay, IIT Hyderabad and IIITDM Jabalpur. 5. Many design aptitude exams that I know of, test drawing skills. How will drawing skills be tested in an objective type examination like UCEED? While drawing skills can demonstrate a person's visualization skills, there are equally effective or better ways to test such skills through objective measures. Besides, we recognise that many students may not have had drawing skills training in their 10+2 schooling, and therefore UCEED will not put them at a disadvantage. 6. Why is UCEED not held in my city? Can you have a center in my city? Conducting a national level exam is a massive exercise. The UCEED 2019 Committee carefully considered all logistical and operational factors, including information based on UCEED 2015, 2016, 2017 & 2018 applicants, before deciding on the 24 cities where UCEED 2019 will be held. For further details click here. 7. I appeared for UCEED 2018 but did not qualify. Can I appear for UCEED 2019? Yes you can, provided you meet the age and year of passing qualification certificate criteria as mentioned here.However do note that a candidate can attempt UCEED for a maximum of two times only and that too in consecutive years, and that the UCEED score is valid only for admissions in the corresponding academic year. 8. What will be the format of the UCEED question paper? For detailed information about the question paper click here. 9. I made a mistake while filling up the application form. What should I do? Send an email to uceed@iitb.ac.in with details related to your application (registration number, candidate name, and mobile phone number) and describing clearly the nature of the mistake. Where possible we will rectify the mistake, or advise you on what to do next. However do note that it will entirely be the responsibility of the candidate to provide the correct information regarding the category, the qualifying examination (XII Class or equivalent), and the date of birth in the application form. 10. I filled up the application form, but I was unable to complete the fee payment successfully. What should I do? There could be several reasons for this, including, but not limited to slow internet speed leading to time-outs, bad connection to the payment gateway, conflicting browser settings or browser compatibility. When a payment error occurs, and you are unable to go back to retry payment, make sure you are using the recommended browsers and versions, clear your browser cookies and cache or try using a different browser altogether. If the problem persists, you can either call us at the contact numbers given in website, or send an email to uceed@iitb.ac.in with details related to your application (registration number, candidate name and mobile phone number) and describing clearly the nature of the problem. All the problems related to the payment for each and every candidate will be sorted out before the last date of application submission. 11. Besides the photo & signature, what other documents should I upload at the time of applying for UCEED? For complete details of documents required for UCEED application click here. 12. I am an OBC candidate. Can I apply under the OBC category? There is NO reservation under the OBC category. ONLY OBC candidates with the NCL (Non-Creamy Layer) certificate can apply under the OBC-NCL category (Refer to point 15 below). 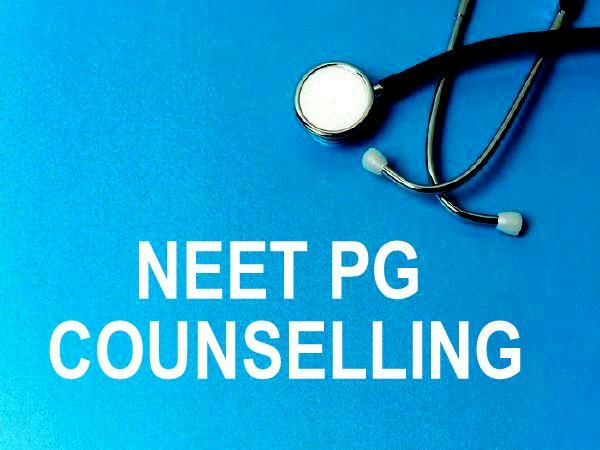 OBC candidates WITHOUT the NCL certificate must apply under the OPEN category. 13. What are the validity requirements for the OBC-NCL certificate? The OBC-NCL certificate must be issued on or after April 1, 2018 and conforming to the latest guidelines of the Government of India. However UCEED qualified candidates when they apply for for B.Des admissions in June 2019, must submit an updated OBC-NCL certificate that is issued on or after April 1, 2019 and conforming to the latest guidelines of the Government of India. Visit www.ncbc.nic.in for the latest guidelines and updates of the Central List of State-wise OBCs. 14. I cannot get the valid OBC-NCL certificate before the application deadline. Can I upload my OBC certificate instead? No. Applications under the OBC-NCL category without the valid certificate will be rejected, just as any other application under their respective reserved categories will be rejected without the valid certificate. 15. I am studying XII Class under the National Open School or as a Private Candidate under State Board. Where should I get the Annexure 1 certified? Candidates who will be appearing for their Class XII (or equivalent) in 2019 under the the National Institute of Open Schooling (NIOS) should get the Annexure 1 certified from the Regional NIOS Board Office or the Regional State Education Board Office. 15. I do not have a birth certificate for proof of date of birth. What should I do? If you do not have a birth certificate you can upload copy of passport, or copy of Aadhaar Card or copy of X class marksheet/school leaving certificate showing your date of birth. A candidate, including a foreign national, must ful l each and every one of the following three criteria to appear in UCEED 2019. Criterion 1 – Age limit: The candidate should have been born on or after October 01, 1993 if belonging to the OPEN or OBC-NCL category and on or after October 01, 1988 if belonging to the SC, ST or PwD category. Criterion 2 – Number of attempts: A candidate can attempt UCEED for a maximum of two times and that too in consecutive years. Note that UCEED score is valid for one year, and only for admissions in the corresponding academic year. Criterion 3 – Qualifying examination: The candidate should have passed the qualifying examination (Class XII or equivalent) in 2017, OR appearing in 2019. Students from ALL STREAMS (Science, Commerce, and Arts & Humanities) are eligible. Those who appeared for the rst time in their qualifying examination in 2017 or earlier are NOT eligible. Other Backward Classes belonging to the Non-Creamy Layer (OBC-NCL) – 27% of seats in the course. The name of the backward class should be in the current central list of OBCs (http://www.ncbc.nic.in). Candidates belonging to the creamy layer of OBC are NOT entitled for reservation. Such candidates are treated as belonging to the Open (i.e., unreserved) category. 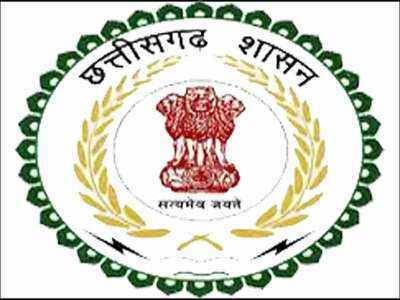 Scheduled Caste (SC) – 15% of seats in the course. Scheduled Tribe (ST) – 7.5% of seats in the course. The 5% reservation for Person with Disability (PwD) candidates is cycled over in a 4-year period, category-wise, as pe rules pertaining to the admitting institute. If a PwD seat remains un lled in a particular year, it will be reverted back to the category from which the PwD seat was assigned for that year. Candidates belonging to the OBC-NCL, SC, ST and PwD categories will be declared as qualified on the basis of a relaxed criterion [see 20. RANK LISTS]. Unfilled seats in the OBC-NCL category can be allotted to OPEN category candidates whereas seats remaining vacant under the SC and ST categories shall NOT be allotted to candidates belonging to other categories. Candidates holding OCI/PIO cards are treated as belonging to the open (OPEN) category, and they will be eligible only for the seats for which everyone is eligible. Foreign nationals are outside the ambit of reservation of seats under the OBC-NCL, SC, ST and PwD categories as speci ed herein. The category chosen by a candidate at the time of application for UCEED 2019 will be final and requests for any change of category will NOT be entertained at a later date. The nal examination of the 10+2 system, conducted by a Central or State Board recognized by the Association of Indian Universities (www.aiuweb.org). Intermediate or two-year Pre-University examination conducted by a Board or University recognized by the Association of Indian Universities. Final examination of the two-year course of the Joint Services Wing of the National Defence Academy. Senior Secondary School Examination conducted by the National Institute of Open Schooling with a minimum of ve subjects. Any Public School, Board or University examination in India or in a foreign country recognized as equivalent to the 10+2 system by the Association of Indian Universities (AIU). A Diploma recognized by the All India Council for Technical Education (www.aicte-india.org) or a State Board of Technical Education of at least 3 years duration. General Certificate Education (GCE) examination (London, Cambridge or Sri Lanka) at the Advanced (A) level. High School Certificate Examination of the Cambridge University or International Baccalaureate Diploma of the International Baccalaureate O ce, Geneva. Candidates who have completed Class XII (or equivalent) examination outside India or from a Board not speci ed above should produce a certi cate from the Association of Indian Universities to the e ect that the examination they have passed is equivalent to the Class XII examination. In case the Class XII examination is not a public examination, the candidate must have passed at least one public (Board or Pre-University) examination earlier. UCEED syllabus will include six topics namely Visualization and spatial ability, Observation, and design sensitivity, Environmental and social awareness, Analytical and logical reasoning, Language and creativity, Design thinking and problem-solving. 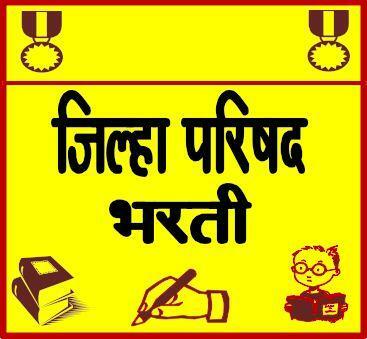 Candidates can go through the previous years question papers to know the kind of questions asked in the examination. Pictorial and diagrammatic questions to test, understanding of transformation and/or manipulation of 2D shapes and 3D objects and their spatial relationships, knowledge of practical and everyday mechanical and scientific concepts. Ability to detect concealed properties in ordinary things, people, situations, and events, and thinking critically about them. Applying attention to certain details, analysing, reasoning, classifying, inferring and predicting. Ability to discern subtle differences in visual properties and aesthetic outcomes. General awareness of environmental factors such as climate, population, water, vegetation, pollution, weather, natural resources etc., and their implications on the design of products, images, infrastructure and environment. Awareness of social and cultural connection with design, history of the designed artefact, and socially responsible and environmentally sustainable design responses. History of art, sculpture and literature. Ability to look at information, be it qualitative or quantitative in nature, and discern patterns within the information. Ability to weigh opinions, arguments or solutions against appropriate criteria. Ability to check for hidden bias or hidden assumptions and whether evidence and argument support conclusions. Ability to use logic and structured thinking to deduce from a short passage, which of a number of statements is the most accurate response to a posed question. Data Interpretation, brainteasers, and patterns. Ability to understand and use Standard English. Reading comprehension, knowledge of English grammar. Ability to think creatively in terms of alternatives, ability to distinguish innovative options and think out of the box. Ability to use visual analogies, metaphors, signs and symbols. Ability to understand complexity, identify problem, generate alternatives, evaluate options and select solutions. UCEED exam pattern 2018 consists of the structure of the paper including subjects, exam duration, marks allotted, negative marking and type of questions. It helps the students in preparation before they appear for the exam. Exam Mode: The examination of UCEED will be held in online mode (CBT). Number of Questions: The test will contain total 80 questions of maximum 300 marks. Type of Questions: Questions in each section will be of different type. Section A contains 20 questions of Numerical Answer Type (NAT). Section B contains total 20 Multiple Select Questions (MSQ). Section C contains 40 Multiple Choice Questions (MCQ). Number of Sections: The paper will consist of 3 sections namely A, B, and C.
Language: Question paper will be asked in the English language. Exam Duration: The exam is of 3 hours duration (10:00 AM to 1:00 PM). Marking Scheme: Each correct answer in Section A will carry 4 marks, Section B carries 4 marks for each right answer and for Section C, 3 marks will be given for each correct response. Negative Marking: There is a negative marking of 1 mark in section C only. There will be ONE question paper for 3 hours duration. The question paper will be in English. The question paper will be administered through a computer based test. The question paper will carry a total of 300 marks. The question paper will consist of 3 sections. For these questions, the answer is a number that needs to be entered using a virtual keyboard in the computer screen. No choices will be shown for these questions. Each MSQ has one or more correct answer(s) out of the four given choices. Multiple Choice Questions (MCQ). Each MCQ has four choices out of which only one is the correct answer. Practice previous years question papers of UCEED (given below). Understand the complete exam pattern & syllabus. Good command of English is required. Candidate must know the use of tenses, verb patterns, articles, grammar, reading comprehension, etc.